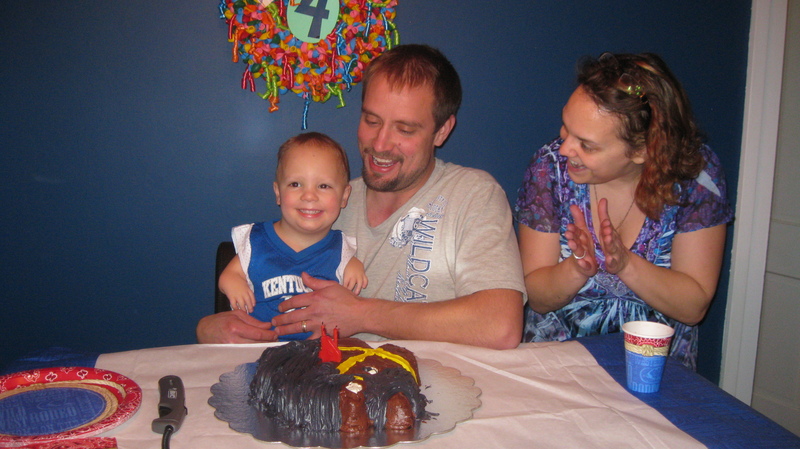 Well, Drew is four years old! Where has the time gone? 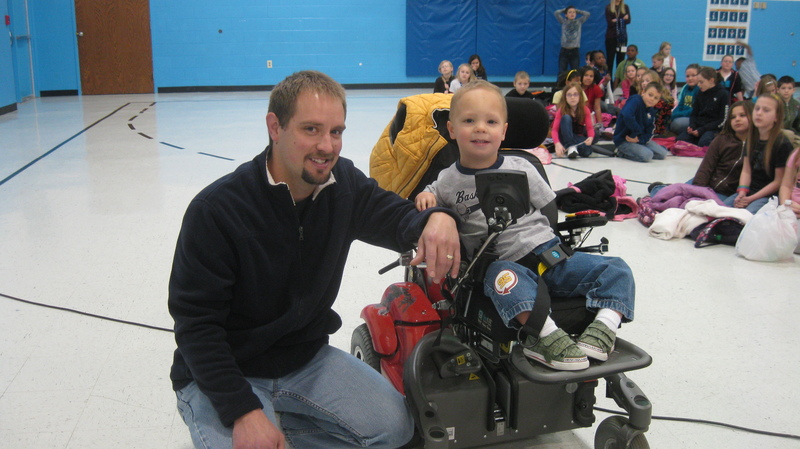 In his four years, he’s had open heart surgery, two sets of tubes, graduated from the First Steps physical and occupational therapy program, started preschool, met Mickey Mouse and Buzz Lightyear at Disney World, flew in a plane to Boston, explored the zoos of St. Louis and Evansville, rode an elephant and a horse, and received a $38,000 vehicle. With that being said, we are anticipating the biggest year yet! With my day job, and my night jobs, Drew Walking Tall and caring for Drew, my life has been a blur lately thus the weeks of silence on this blog. 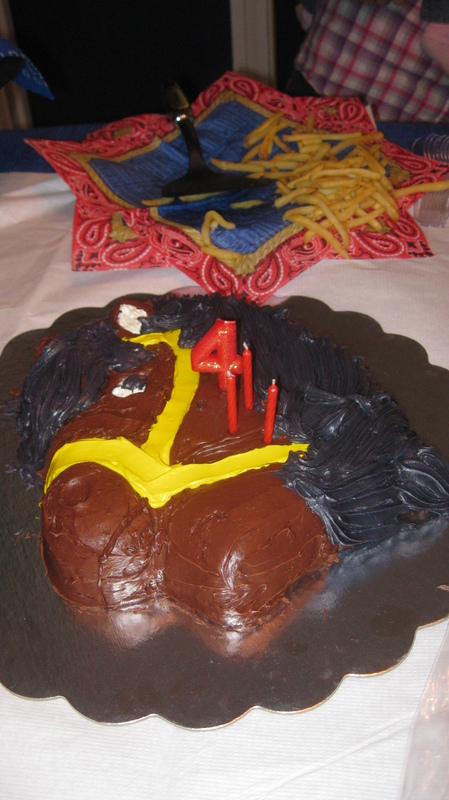 I had a particularly hectic weekend preparing for Drew’s horse birthday party. But, it was a hit. 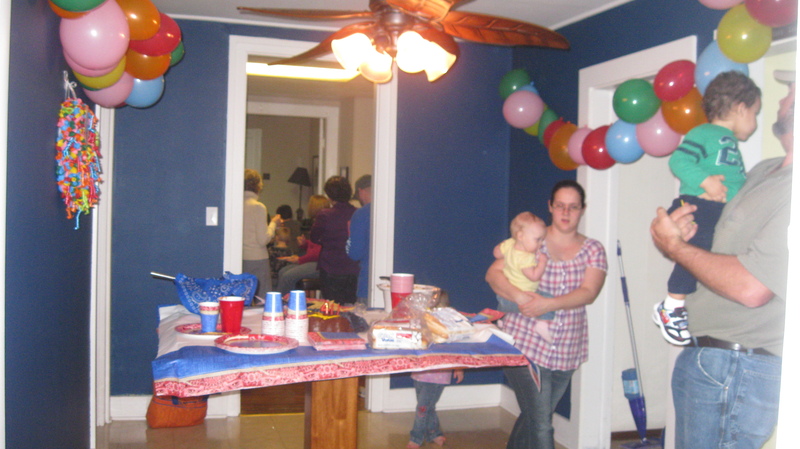 Drew had a lot of friends over, got many awesome gifts and had a great time. Drew Walking Tall is growing and growing faster than I’m able to follow. Steve Utley from the Fraternal Order of the Eagles and John Robinson from WMSK have spearheaded a Quest for a Million Pennies for Drew Walking Tall. We were in the paper again this week and if you’ve seen the picture, you can see Drew’s enthusiasm! We recently did an interview at WMSK about Drew and Drew Walking Tall. 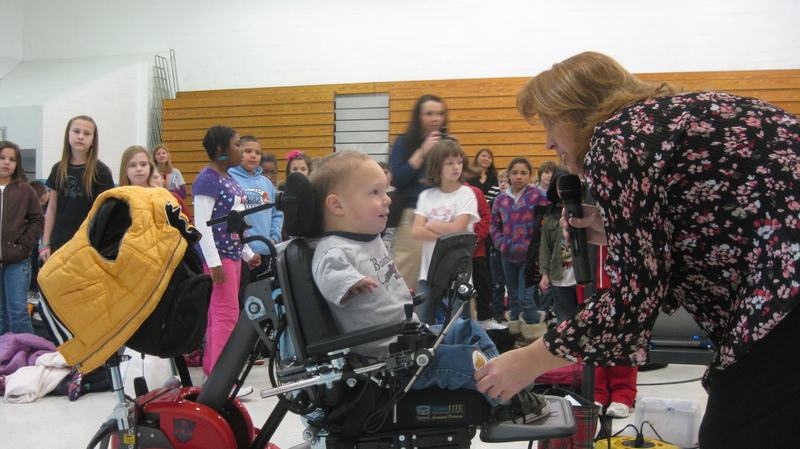 The Morganfield Elementary School hosted an assembly to introduce Drew to the classes. I was disappointed to not be able to attend as I had work obligations, but I hear that there was a standing ovation as Drew entered the cafeteria. It’s probably best that I didn’t go because I would have been bawling my eyes out. The Union County Advocate is hosting a Valentines Day candy sale at their office and Drew will be meeting some Girl Scouts soon. AND, we are very busy planning the Drew Walking Tall auction. Whew! Be sure to keep up with Drew Walking Tall by checking for events on my Drew Walking Tall page. This weekend, we are looking for a new (new to me, that is) vehicle that will accommodate Drew’s wheelchair so I’ll be able to transport his wheelchair to Florida and on our outings as Drew will be awkward to carry with his external fixation device. We will also begin seriously looking for a place to stay which I’m not looking forward to at all. I think I’ve already discovered several scams. Ugh. I will admit that for a fleeting moment, I was actually excited about this new adventure we’ll be taking in a coastal city, new sights and sounds. Then, it quickly passes with the reality of getting lost in a big city, a disgruntled 4-year-old boy, time management, being lonely when Daddy is away, etc. etc. etc.